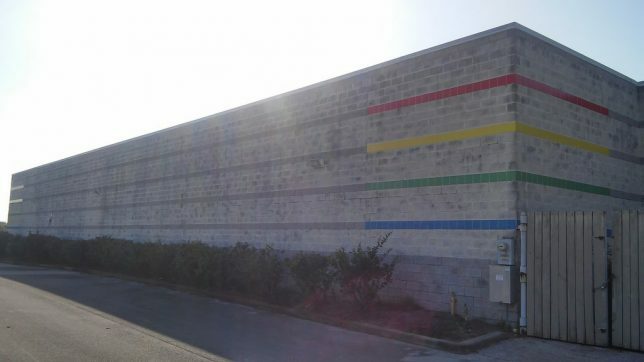 Flickr member Mason Mcfella (teamretro942) caught up to the above abandoned Toys ‘R’ Us in April of 2017. 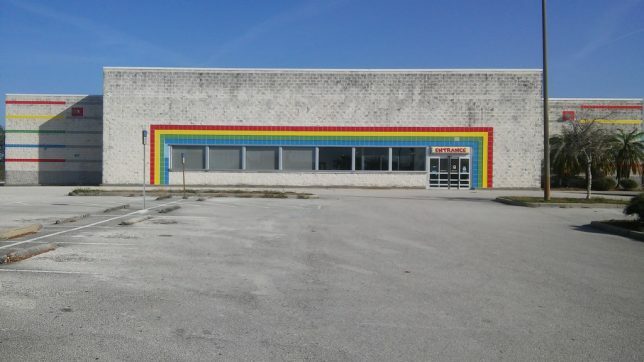 Located in Lake Wales, Florida, the stripped and cleaned-out store opens as a Spirit Halloween outlet each fall but otherwise sits in isolation 10 months of the year. 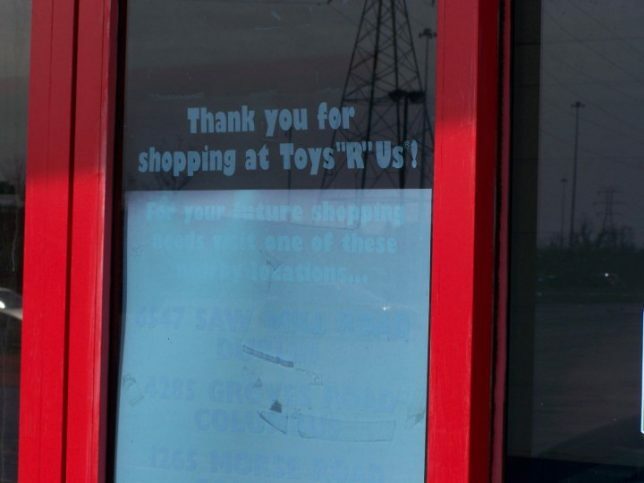 The photographer estimates this Toys ‘R’ Us closed back in 2012 or 2013. 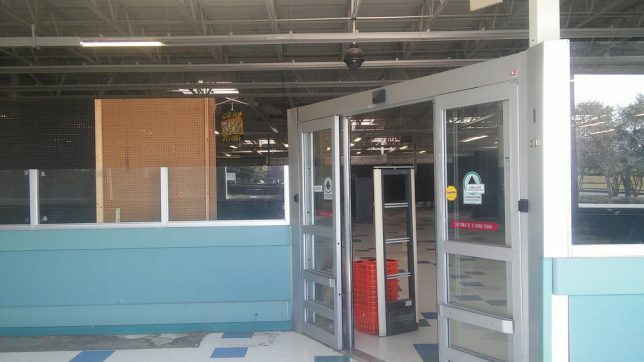 The nearby Eagle Ridge Mall lost one of its three anchor tenants – Sears – in late 2016 and was the scene of an IED attack (later determined to be nautical flares) in January of 2018. 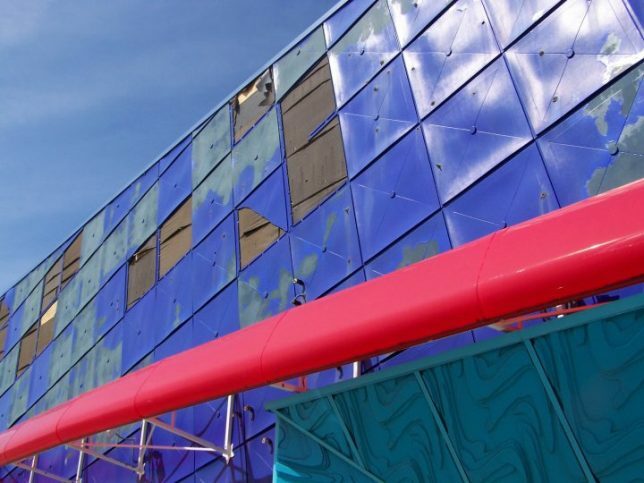 You’d think a Toys ‘R’ Us in the city of Disney (Anaheim, California) would have a half a chance of making a go of things. 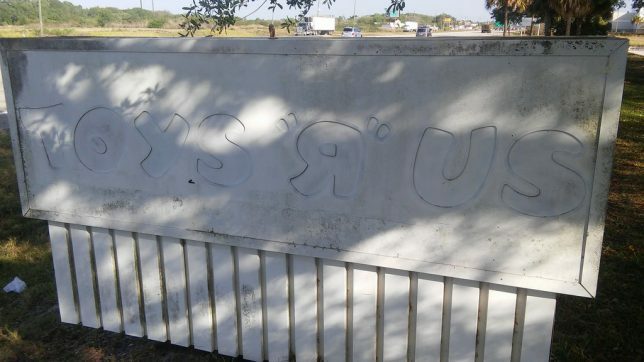 Judging from the old-style font on what remains of the sign, this store was open quite a long time before facing economic reality. Flickr member Evan Wohrman snapped the above pics in the summer of 2009. 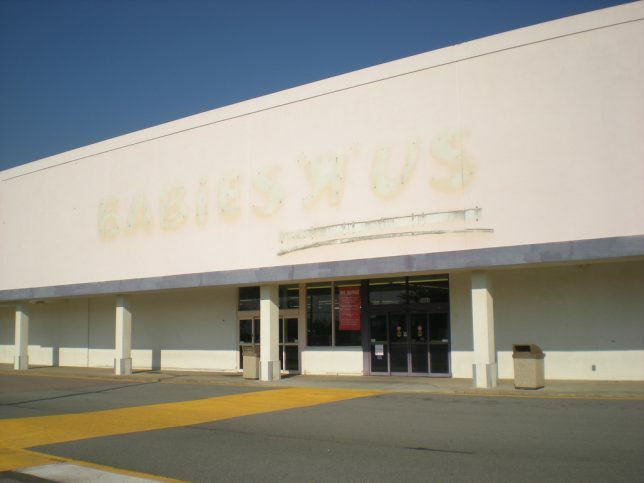 Ahh, the good old days when Toys ‘R’ Us and their ambitious subsidiaries Babies ‘R’ Us and Kids ‘R’ Us were deemed too big to fail… yeah, about that. Flickr member Ryan (RetailByRyan95) is notable for presenting extending histories of the stores he spots. 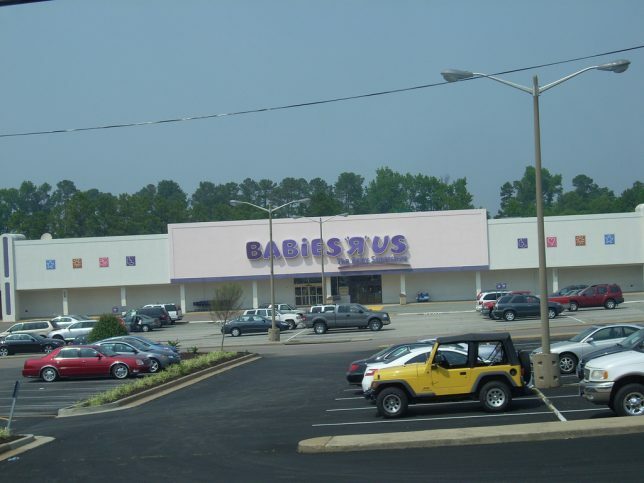 Take the above Babies ‘R’ Us location at Tuckernuck Square in Richmond, Virginia, captured in early June of 2008. 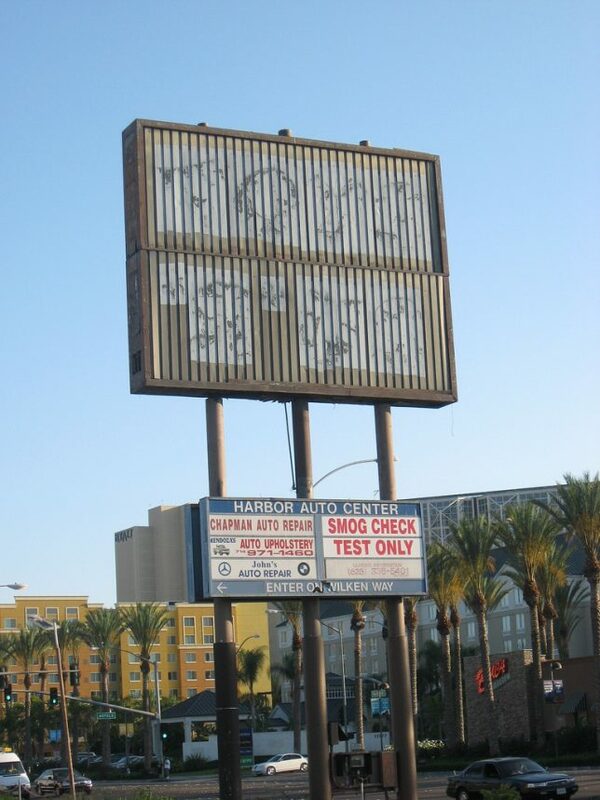 So much for permanence. 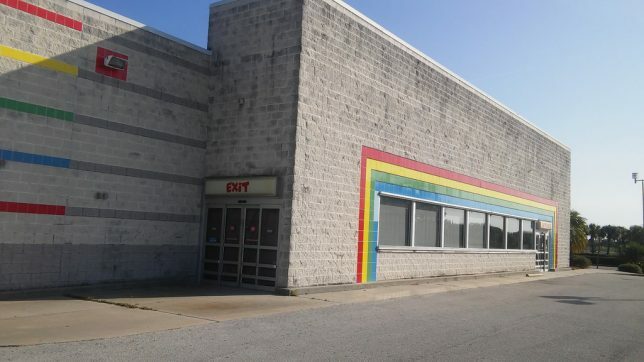 The photographer snapped the bleached and de-branded store in December of 2012, a couple of months after its moving and consolidation with an existing Toys ‘R’ Us location nearby. 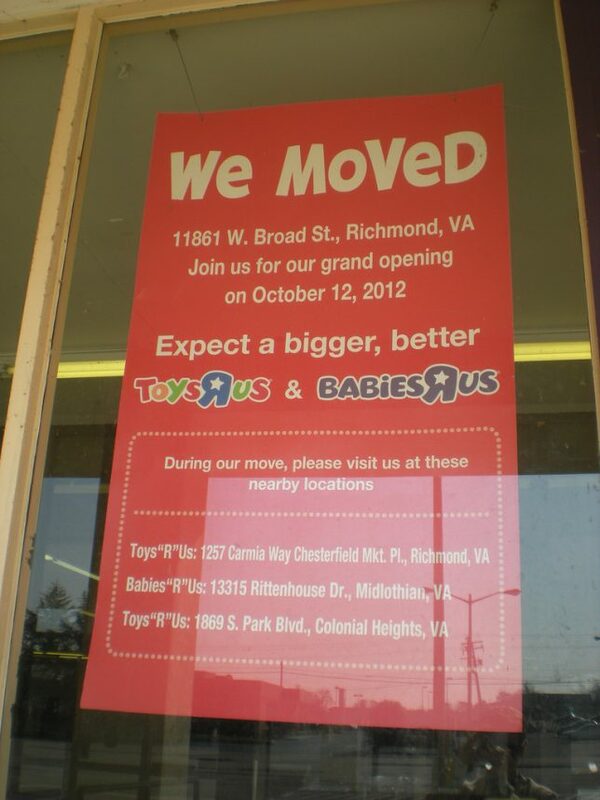 As for the promised “bigger, better” combo store… you know the drill by now. 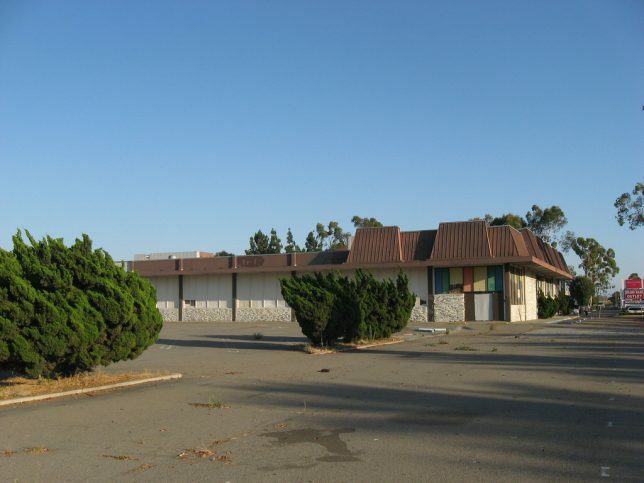 That location closed in 2016 and re-opened as a 2nd & Charles store by mid-summer. 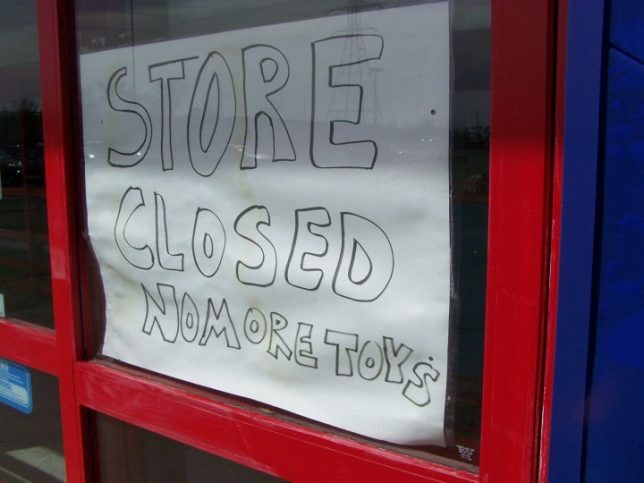 Flickr member brianpenzone cut right to the chase when photographing a long-abandoned (since 2010, approximately) Toys ‘R’ Us store in Columbus, Ohio.